BRANT — On March 15 at about 10:15 p.m., Erie County Sheriff’s deputies initiated a traffic stop along Southwestern Boulevard for a speeding vehicle. 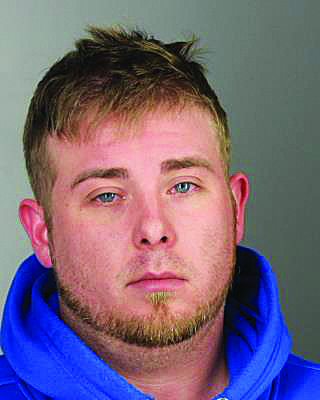 Brent Monroe, 29, of Carthage, allegedly failed multiple standard field sobriety tests, Monroe was arrested and charged with felony counts of DWI — previous conviction within 10 years, DWI — operating a vehicle with BAC .08 or more with a previous conviction and aggravated unlicensed operation of a vehicle. Deputies also discovered a small baggie containing cocaine, and Monroe was charged with misdemeanor criminal possession of a controlled substance. The defendant was also charged with vehicle and traffic violations for drinking alcohol in a vehicle on the highway, speeding, unsafe lane change, failure to keep right and operating a vehicle without a license. Monroe was transported to the Erie County Holding Center and held pending arraignment.